So much of skiing has a ritualistic aspect to it, and unless you are fortunate enough to live in the immediate vicinity of skiable mountains (if that’s you, don’t gloat,) travel is literally the constant rite of passage surrounding every ski trip. Trains, planes, automobiles and buses; whether with friends, family, a club or solo, you’ve got to get from here to there and back again. Well perhaps you don’t have to, I have known those who did the getting there part but didn’t manage the coming back; they just stayed, forever lost to the sirens of the alpine. I’ve been tempted I know but have so far always made the journey home. 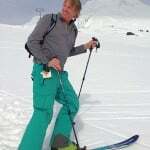 Making a complete conversion to full time ski bum is a lofty dream but for most of us this is still an avocation; and the more avid you are, the more traveling will be involved, and if you travel, you will pack. Packing is either a pleasure or a chore, sometimes a strange mix of each. The stress level increases even more if you are the one who will be held responsible when your six year-old’s only footwear is a pair of fuzzy purple slippers and her older brother will be skiing in a superman cape and little else. I find it taxing just to sort out myself. But despite the logistics and stress there is also something magical about preparing for a trip. As I fold, roll and finally cram in the contents, I’m reminded of past adventures as a new one is taking shape. 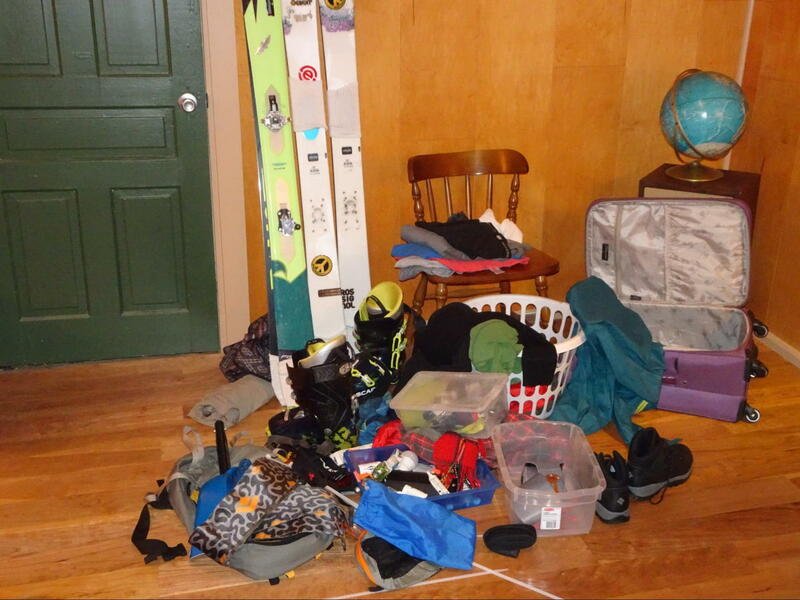 Anticipation moves toward reality and that well packed ski bag is the bridge. If you do a lot of day trips there is a routine to that, planks and poles in the car and boots and backpack ready to grab as you head out the door, coffee in hand and feet already clad in your favorite high smartwool socks. My toes wriggle in anticipation at the mere thought of it. This will be a daypack trip, and in theory not much can go wrong but more on that later. 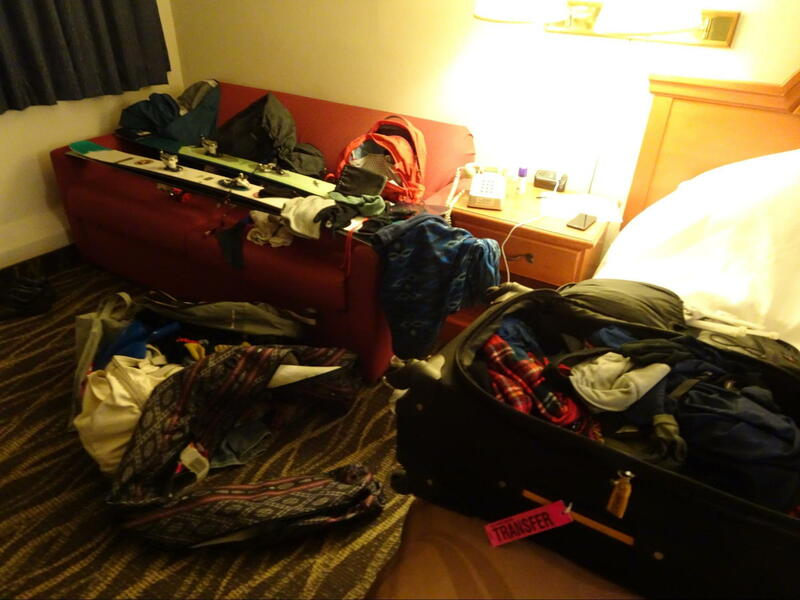 if you are heading out for days and nights spent far away, then packing can either be that marker for good times to come or a grim harbinger of catastrophe ahead. I have botched enough attempts, often done frantically hours before departure, to at least know the pitfalls; which I sometimes actually avoid. I take a real pleasure now in the warm glow and relieved sigh that come when the task is complete, when everything is squarely tucked in and ready, with plenty of time to spare. Getting it right is all about the system. If I broke packing into three categories it would be: what’s in your pocket, what’s in your pack, and what’s in your oversized and probably overweight steamer trunk. And as with much in life, the micro can reflect upon the macro. Sadly I am that guy that you often see in the parking lot looking both startled and bewildered as I first pat down, and then start violently slapping all my pockets and then my forehead; first muttering “Rats, Damn! Crap! !” then worse things and louder until the parent unloading the Lexus beside me grows alarmed and starts scooting her children to the opposite side to keep them away from the bad, angry man. At least I used to be said guy until I developed a system that I am mostly successful now in adhering to. By the way, I should definitely touch wood right now as pride goeth before the fall, and as I type this I am Colorado bound and there is not so much as a faux walnut burl armrest at hand for good luck in the cabin of this Southwest 737. Despite my superior tone the odds that I actually got it right and packed every essential are sixty-five percent at best. On those parking lot mornings gone wrong, the trouble might be the absence of my pass or even my wallet; but that is nothing compared to the end of the day when, already cold and tired, I’m confronted by the inexplicable loss of my keys. How did this happen, again? The fault is usually poor pocket management. This is the primary ritual of packing, the part you must get right. If you have your wallet you can rent some skis, or if you have your keys you can at least drive home in defeat. A place for everything and everything in it’s … pocket. There is a reason why most snow pants and shells have so many zippered nooks and crannies. It’s so that in your right hand pocket you can always keep your wallet; on the clip inside your keys are ALWAYS secure; your snacks, camera and phone can be scattered from the pocket above your knee to the mini zippered compartment on your chest. Particulars are a matter of personal preference but however you do it, do it the same each time; this will prevent a lot of ugly oh-no moments. I hold onto ski pants and shells for a long time because relearning my system for the sake of more fashionable or even waterproof outerwear is just too daunting of a task. And the trend toward sleeker, form fitting garb that’s not festooned with cargo pouches, is not what I call progress; well, depending on the individual form I suppose. All you need for a comfortable day. 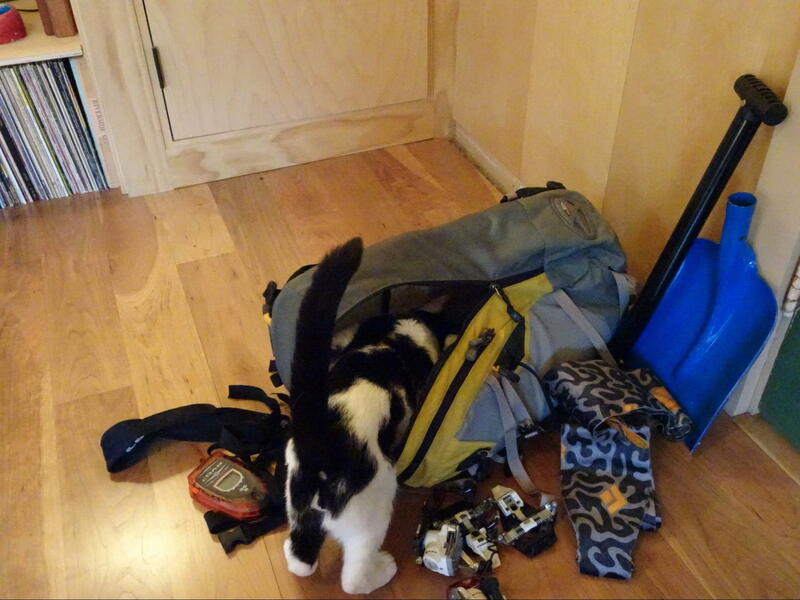 The next station in the ritual of packing is the organization of your daypack. This is one of the early things I sort out each year principally for day trips but also as the starting element for longer journeys. I started skiing with a backpack when my sons were small and always either had too little or too much as the day wore on, and now I find the same holds true for me. I can hold everything I will need for a day in a 20 liter daypack no matter what nature decides to throw at me AND include fresh clothes for the drive back home (I’ve never bothered changing into them but at least they’re available). This is largely due to the remarkable progress in the weight and efficiency of modern cold weather gear. My memories of even day trips in the seventies from Amarillo to Angel Fire in New Mexico, include the whole back half of our Ford Econoline passenger van being buried in a pile of flannel and overfilled parkas. After a day skiing they probably held an additional fifty pounds of moisture. Nowadays; helmet, goggles, gloves,and beanie can nest together; your shell and ski pants can be rolled tight and with a light fleece sweater and a balled up puffy, it can all fit into a light daypack. Garnish this with some trail mix and a a small flask of something brisk, and level two packing is complete. Finally we reach the apex; packing enough goods for a successful multi-day trip including equipment that is particularly ill-suited to fit into conventional luggage; I guess travelling pole vaulters have it worse. 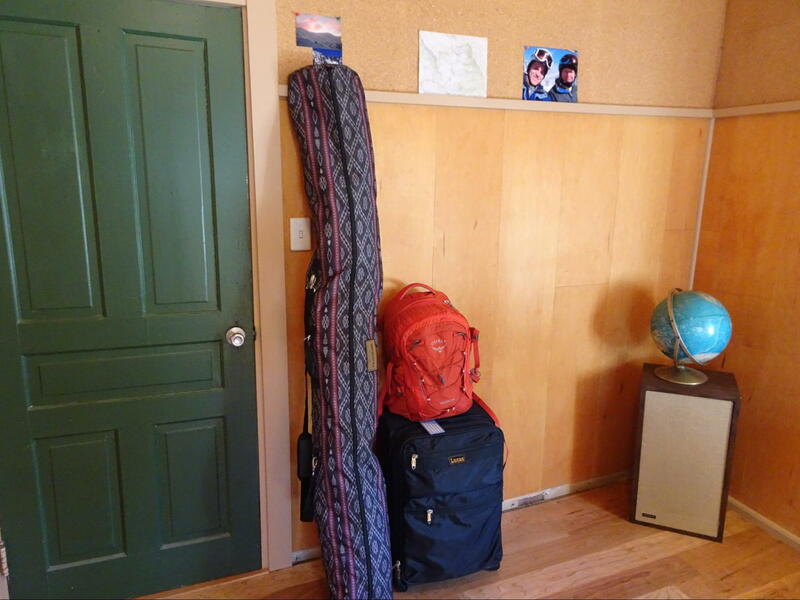 You must also get it all together in a way that will not require you to find Sherpas who can help you actually transport the stuff upon arrival. Most of us don’t budget for a retinue of porters so it pays to keep things as simple as possible. A mistake I continue to make is taking too many of the wrong things. Returning with three clean unworn sweaters while two pairs of socks were stretched over four days by being recycled inside out; this is a sign of confused priorities. If you are a gear junky, as I am, the situation becomes even more challenging. I have been accused of being an aspirational skier; which among other things, means I pack an extra pair of skis that are suitable for powder even when there is not a trace of snow in the most optimistic forecasts. My recent obsession with touring and backcountry ventures has made matters worse. While I may preach elegant minimalism; now I have an additional set of bindings crammed in with various screwdrivers and allen wrenches all for the sake of “simplifying” my skiing experience. 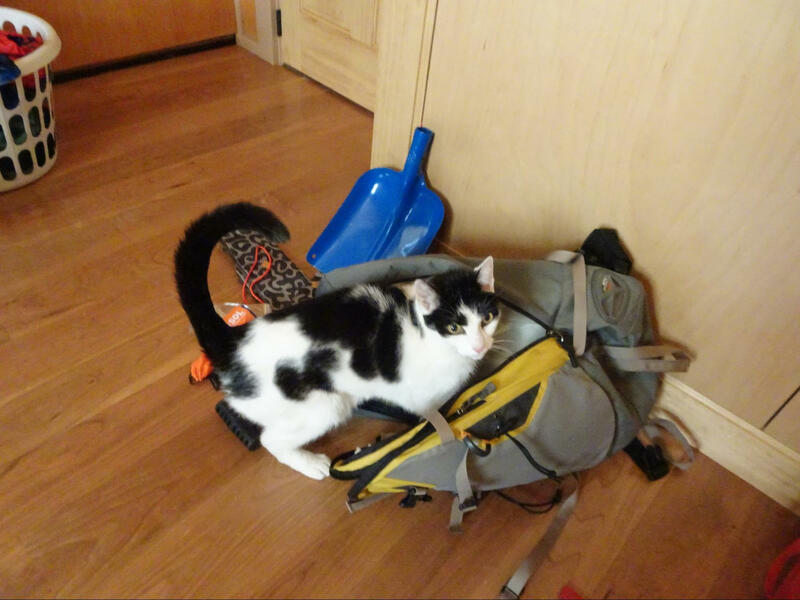 By all means pack a cat, they love travel and make excellent backcountry companions. 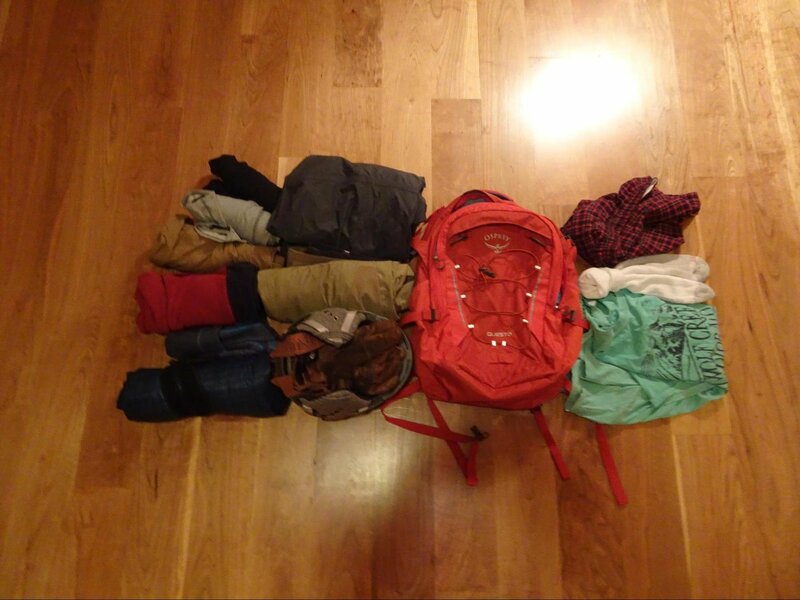 I say embrace the ritual of packing, seek the higher plane embodied in a well packed bag. No longer mere luggage these are practical pieces of art, unique and personal reflections of yourself, just ask the TSA agent who will be rummaging through it all. When you arrive and discover the missing essentials the edifice may collapse, but for now it stands ready by the door, a masterpiece prepared for departure. So relish it now, because packing it all back again for the return trip home is never such a joyous experience. Next articleSki Southeast Forecast fir 2/8/2018: Warm and wet weekend ahead.